Motoren Montag: Kurbelwell, Kolben, Ventile... Alles bewegt sich! Once in a while I’m hugely intrigued by the scaled engines by CMC. They’re 1/18, come on a nice wooden stand and share a lot of detail. It’s just that they’re, well, expensive. 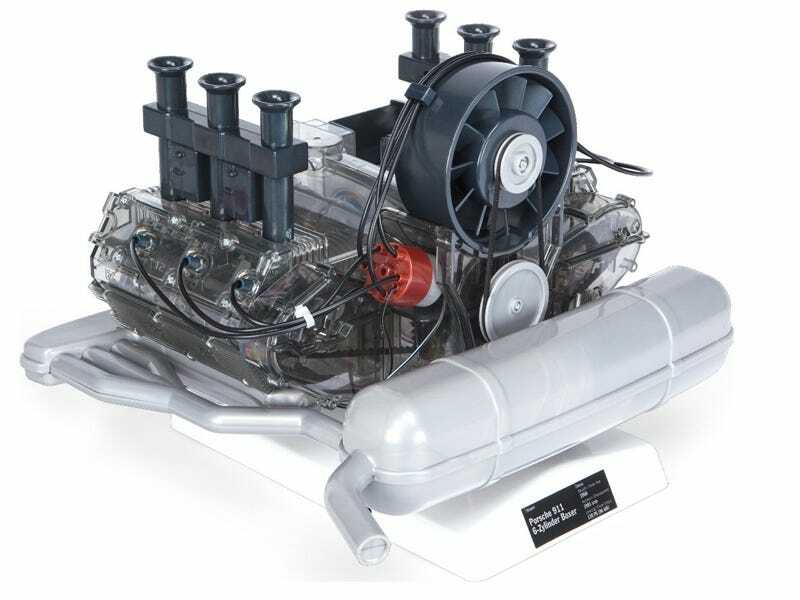 125 Euros for a Bugatti 57SC engine. On Ebay often even more is asked. So when the German “online department store” Franzis.de started offering a kit which makes it possible to recreate the engine yourself I was even more excited. It’s way bigger, 1:4, and if I’m not mistaken it comes with a sound module. WRRROOOOOAAAR!!! It’s just that price, 169 Euros. Even more expensive than a CMC. I don’t need it. I don’t. Let’s finish up the 1:1 first. RedStationWagon knows a shop which sells it for 20 Euros less! Thanks!